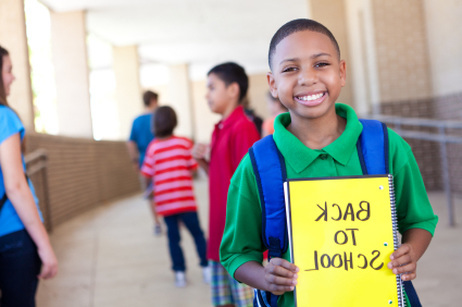 If you’re gearing up to prepare your child to return back to school, continue reading to discover 6 things you can do in order to prepare your child for their first day back at school. Some schools expect their students to read a variety of books which are listed out on a holiday reading list. So it’s well worth asking your child whether they’ve been assigned a set reading list. It’s well worth double checking a back to school supply list. This is so that your child has all the books and stationery supplies which they’ll need for their first week back at school. As examples, your child will probably require multiple pencils and pens, an eraser, a pencil sharpener, a rule, a pencil case, and a calculator. In order to soften the blow of having to return back to school after a fun-filled vacation, plan a shopping trip so that your child will be able to pick out their own backpack. As your child is far more likely to take great care of their brand new backpack if they get to pick it out themselves. As examples, if your child loves Disney princesses or Thomas the Tank Engine, they may enjoy getting to pick out a special Disney princess themed or a Thomas the Tank Engine themed backpack. If your child attends a school which requires students to wear a uniform, then it’s well worth getting your child to try on their uniform well in advance of their first day of school to check that their uniform still fits. As you may need to purchase extra items of clothing or larger items of clothing. If your child attends a school that doesn’t require a uniform, it’s well worth purchasing a few new outfits from a children’s boutique, for your child to wear during their first term back at school. To ensure that your child is able to wake up early each morning to head to school again, make sure to ease your child back into going to sleep at a regular bedtime before school starts up again. As if you get your child used to going to sleep at a regular bedtime, they’ll find getting up each morning for school a breeze and will have plenty of energy to learn and retain new information. When your child goes back to school, it’s highly likely that they’ll be given homework to complete. So it’s crucial to set up a quiet space in your home for your child to study. As an example, you may want to invest in purchasing a work desk to place in your child’s bedroom! So if you’re getting ready to send your child back to school, it’s well worth ticking off all six activities listed above!